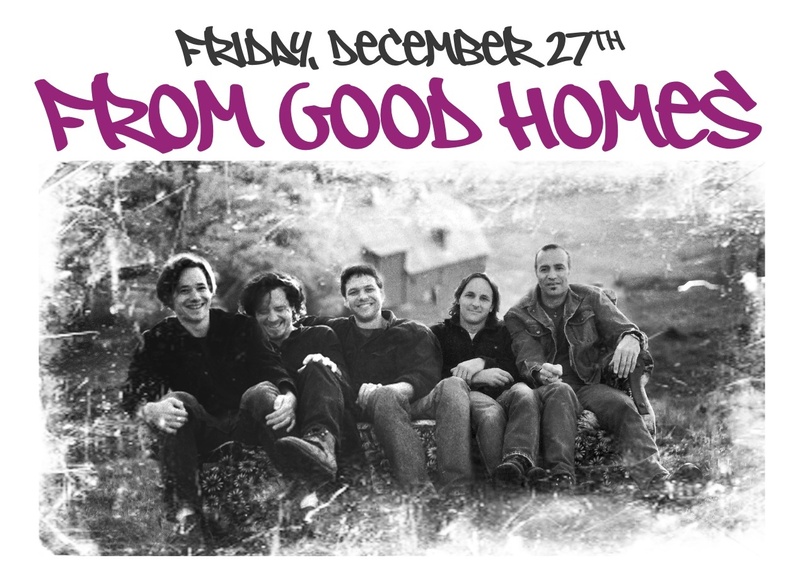 From Good Homes is performing on Monday Dec. 27, to benefit the Tony Pompelio and Schoolmates Award of Courage Fund. 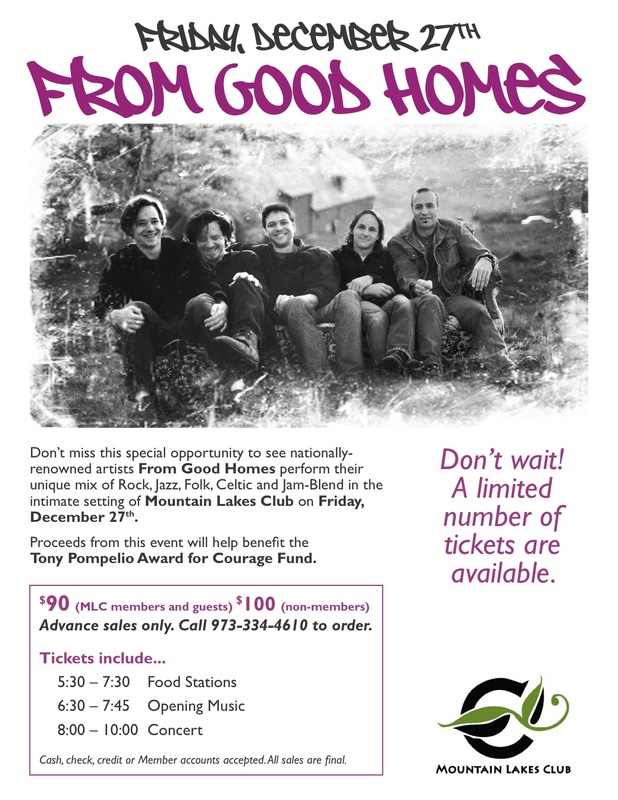 MOUNTAIN LAKES – The Mountain Lakes Club will be the setting for an exclusive performance with nationally known artists from this area, From Good Homes, of which proceeds from the show will benefit the Tony Pompelio and Schoolmates Award of Courage Fund. Details about From Good Homes show on Dec. 27. The event will be held on Fri., Dec. 27, beginning at 5:30 p.m. Tickets are $100 each, with $90 Prices for Mountain Lakes Club Members and their guests $90 each. Acceptable methods of payment for the tickets include: cash, check, credit or member accounts. All sales for the tickets are final. Guests that evening can enjoy the food stations from 5:30 p.m. to 7:30 p.m., followed by opening music from 6:30 p.m. to 7:45 p.m. From Good Homes kicks off at 8 p.m., and the show wraps up around 10 p.m.
From Good Homes, a Sparta-based band, originated when friends Todd Sheaffer, Brady Rymer, and Patrick Fitzsimmons, formed their band, “Old Crow,” in high school, later changing their name to “The Dogs.” When Dan Myers and Jamie Coan became a part of the group, “From Good Homes” came to be. The name originated after, what they described on their website as a “brush with the law,” when the band was scheduled to play a show at a local bar, and the venue closed early, not permitting the band to perform a song they had prepared for. In the middle of the night, the band returned, entered the bar, and performed the number they had wanted, turning the amplifiers to ten. “They were arrested and appeared in court, where the judge sentenced them to community service, since they seemed to be ‘from good homes,’” was the statement on the origination of the band’s name per their website. According to their website as well, the band’s music style has been coined “Hick-Pop,” by one critic, due to its upbeat and unique sound, which has been touted as a combination of rock, jazz, folk, celtic, and jam-band in one. From Good Homes has performed with Hootie & The Blowfish, the Dave Matthews Band, and Blues Traveller, among others. The band members parted ways for a while, pursuing solo ventures, before reuniting for a show at the Wellmont Theatre in Montclair in 2009. The band performs together again, as well as its members touring to various places for solo sets. In addition to the special show on Dec. 27, From Good Homes will be at on stage at The Newton Theatre Dec. 20, 21, and 22. Photo of Tony Pompelio, courtesy of the New Jersey Crime Victims’ Law Center. The Tony Pompelio and Schoolmates Award of Courage that the show on Dec. 27 benefits, is awarded annually to a student (or students) in the senior class at Sparta High School who exemplifies extraordinary courage in the midst of challenges. The award is peer nominated, with fellow classmates explaining why a particular student should be chosen. 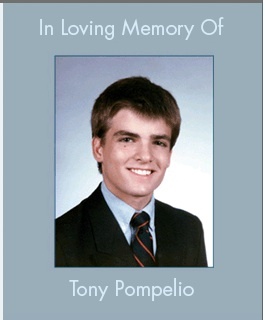 The award was created in memory of Tony Pompelio, a Sparta High School senior who lost his life while saving the life of his classmate, in 1989. Since Tony’s death, his father Richard Pompelio, an attorney, has started the New Jersey Crime Victims’ Law Center in his memory, a pro bono law center (the first and oldest in the United States), which has, since its inception in 1992, helped more than 10,000 victims of crime and their families. Richard Pompelio has become an integral part of drafting legislation in New Jersey for victims’ rights, including New Jersey’s Crime Victims’ Bill of Rights. More recently, New Jersey Governor Chris Christie signed the “Alex De Croce’s Law” in Aug. 2012, to honor the memory of Assemblyman Alex DeCroce, who was a champion himself for victims’ rights, within New Jersey’s legislature. For tickets to the From Good Homes show on Dec. 27, call (973) 334-4610. Advance sales only. 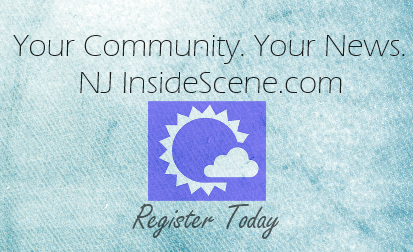 Stay on the “inside scene,” with happenings and news around the Northwest New Jersey area. Click here to also follow us on Facebook.